"The greatest freedom you will ever know is the love of God." Robert wrapped up our series, Romans 8, this weekend, diving into the freedom that God's love brings us. "Jesus didn't suffer so that you and I wouldn't suffer, but so that WHEN we suffer, we would become more like Him." This weekend, Robert continued ours series, Romans 8, discussing how God uses both the good and the bad to help us become more like Him. "Jesus did not promise us better life circumstances; He promised us better life." 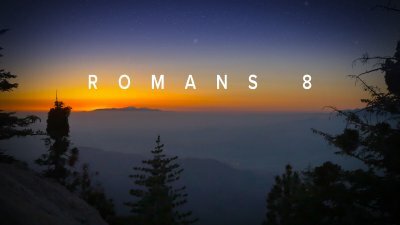 This week, Chad continued our series, Romans 8, diving into the passage Romans 8:18-25. "Our problem in trusting God is not that we don't love God enough, it's that we don't realize how much He loves us." Chad continued our series, Romans 8, diving in the passage of Romans 8:12-17. "Jesus is not inviting you to new religion, He's inviting you to new life." Chad kicked off our new series, Romans 8, focusing on Romans 8:1-11.